The Estonian puppet animator Ülo Pikkov has a new documentary animation short, Empty Space. 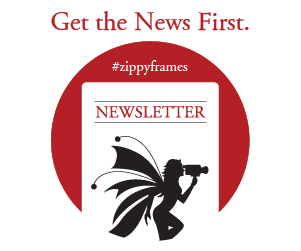 Read his interview for Zippy Frames. Produced by Nukufilm, the new short animated film Empty Space (Tühi ruum) sees acclaimed animator and theoretician Ülo Pikkov to go firmly into documentary animation territory. The 10-minute short directed by the Estonian animator (his latest film was the mechanical fantasy Tick Tack) makes him narrate a very bittersweet story of inventon: a house and a home is being invented by someone who no longer has one. ZF: What is the background behind your film Empty Space? ÜP: I met one old lady, now in her 70s, quite accidentally one day, and she told me the fascinating story of her father. Leonhard Lina was a military officer in the Estonian Army. Under the Soviet Occupation he became an officer of the Soviet Army and during the war he became a prisoner of Germans, who later released him. What is more remarkable about him is that after the war, he got information that he was about to be sent to Siberia because he collaborated with Germans. So, he built himself a small hiding place and stayed 11 years underground, wondering and dreaming what his relatives and loved ones were doing. In hiding he built exact copy of his apartment like a dollhouse. After Stalin's death (1953), when he came out of hiding, he gave the dollhouse to his daughter. When he went into hiding, his daughter was 3 months old, and, when he came out, she was already 12. The daughter was very happy that her father showed up, but also a little bit disappointed with the gift, because she considered herself already a big girl, who is not playing with dolls anymore. My idea was to make a documentary-based animation about a dream that eventually comes true in a film. This is a story of one lonely man and his dream that kept him alive through many years and actually will come true only now through this film. The whole story will be about this man thinking about his daughter playing in the dollhouse he created for her. For building the puppet we used real photos of the daughter as a reference, and the puppet looks both realistic and doll-like at the same. ZF: You recreated the whole environment in the sets? ÜP: No, these all are the original furniture pieces that built himself in the hiding. We made very few additions. ZF: You did Body Memory to reflect a WWII story of mass deportations. Do you think that memory matters? ÜP: Absolutely. I like if animation is somehow related or connected to real life, that it's not completely a fairytale. We did try to recreate even in the way of shooting and editing the practices, which were used in film during the 50s, except one zoom where we needed to film the daughter herself, who is now an old lady. But, all in all, we wanted to have the sense of an old-fashioned film in terms of editing and camera composition. Raivo Möllits, our cameraman, did some magnificent tricks in my previous films. In general, the whole visual language in animation has become more and more 3D and special effects based; this time we decided to keep it very simple. Empty Space has been funded by Estonian Film Institute.